As we approach the lazy days of summer, many consumers will be looking to work on home projects that they put off during the cold and rainy months. 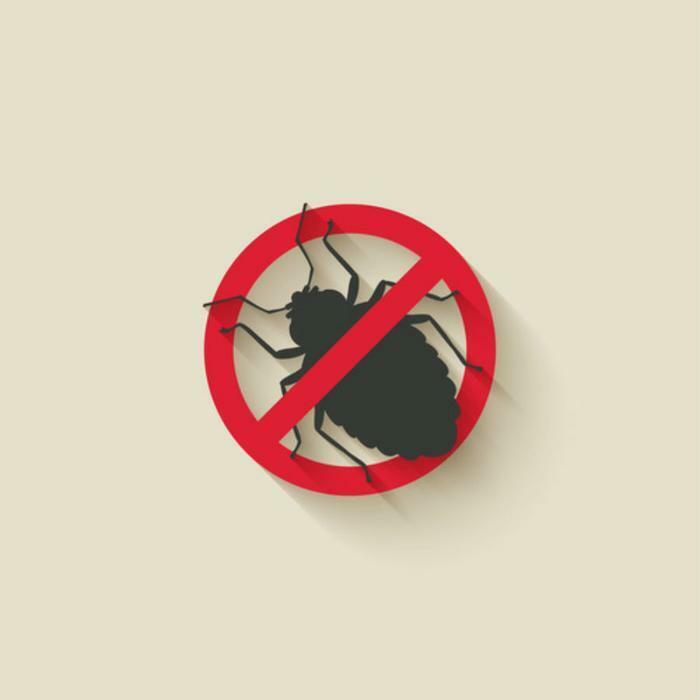 One item at the top of the list should be to get rid of unwanted pests that have insinuated themselves into your home or yard. While you could rush off to the store and buy pest control products to do the job, some consumers prefer a more natural approach that doesn’t involve all those hazardous chemicals. For those inclined to this way of thinking, here are five free and natural ways to control pests in and around your home. Fix any leaky faucets or overturn any open containers that are collecting water on your property. Most of these tips can be boiled down to cleaning up quickly and efficiently so that pests don’t have a reason to enter your home. In many cases, it’s enough to prevent a problem before it arises. However, in cases where pests are already a problem, there are plenty of non-toxic sprays that you can make at home to discourage pest proliferation. Here are some solutions you can make for some common pests. Mosquitoes: Mix one cup of grain alcohol with 2 1/2 teaspoons of citronella, lemon eucalyptus, geranium, lavender, lemongrass, or tea tree essential oil. Flies: Mix one cup of grain alcohol with 2 1/2 teaspoons of geranium or lavender, or mix 1/2 cup of witch hazel, 1/2 cup of apple cider vinegar, and 30-50 drops of citronella, clove, lemongrass, rosemary, tea tree, cajeput, eucalyptus, cedar, catnip, lavender, or mint essential oil. Spiders: Fill a 16-oz. bottle with water, 1/2 teaspoon of dish soap, and five drops of peppermint oil and shake the mixture well. Ants: Mix 1/4 cup of purified water with ¼ cup of vodka, 15 drops of peppermint oil, 15 drops of tea tree oil, and either 7 drops of oil from a citrus fruit or 1-3 drops of clove oil. Fleas: Mix one cup of water with 6-7 drops of rosemary, peppermint, eucalyptus, tea tree, and citronella essential oils. Spray your pet’s coat every other day. For consumers who are looking for a more practical solution to one particular kind of pest, there are some common products that might also do the trick. For example, sprinkling used coffee grounds around windows and doors has been shown to be a natural repellent for ants. For consumers who want the unending affection of their cats, placing catnip in infested areas has been shown to repel cockroaches. Sprinkling chili pepper flakes around garden plants and in the home can repel larger pests, like deer and rabbits, and even smaller bugs like ants, too. Speaking of plants, there are a number of natural insecticides and insect repellents that can help the beleaguered gardener who is overrun by pests. While the following homemade sprays are useful for controlling insects, consumers should keep in mind that any insecticide or repellent stands the chance of potentially harming plants. However, monitoring how well the spray is working and the progress of your plants should help in adjusting the ratio of ingredients to make them safe. Oil Spray: Mix 1 cup of vegetable oil with 1 tablespoon of soap and shake the mixture thoroughly. When you’re ready to use it, add 2 teaspoons of the mixture to 1 quart of water, shake the mixture, and apply it to your plants. Soap Spray: Mix 1 1/2 teaspoons of a mild liquid dish soap with 1 quart of water and spray it on the surfaces of plants during the evenings or early mornings before it gets too hot outside. Garlic Spray: Puree two full bulbs of garlic with a small amount of water and allow it to sit overnight. Strain the mixture in a one-quart jar and add 1/2 cup of vegetable oil, 1 teaspoon of mild liquid dish soap, and enough water to fill the jar. Combine this mixture with 1 quart of water and spray it on plants to repel bugs. Chili pepper spray: Mix 1 tablespoon of chili pepper powder with 1 quart of water and 6-7 drops of mild liquid dish soap. Spray the mixture on plants liberally. For consumers who want to avoid all of the sprays, mixtures, and solutions but still have a backyard free of pests, there are a number of different plants and herbs that have been shown to repel insects and animals. For example, herbs like basil, lavender, lemongrass, lemon thyme, mint, and rosemary are all natural repellents for mosquitoes. Lavender and bay leaves are also effective for repelling flies, while dill and fennel repel aphids. Ornamental flowers like alliums, chrysanthemums, marigolds, nasturtiums, and petunias also repel a large range of insects and can look great in your garden and backyard.